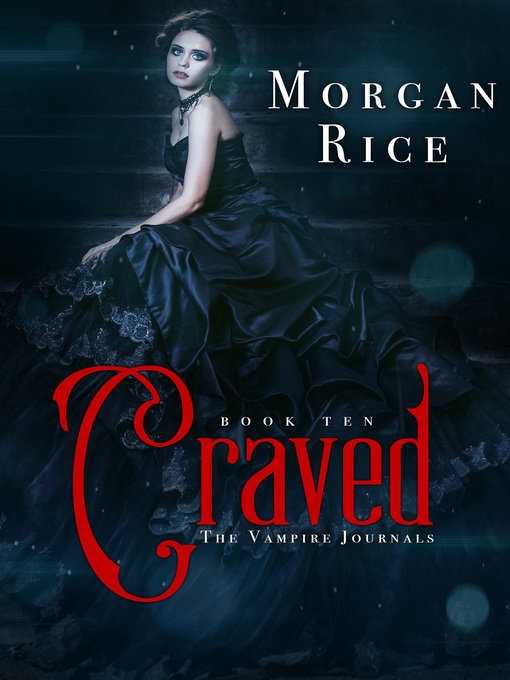 CRAVED is Book #10 in the #1 Bestselling series THE VAMPIRE JOURNALS, which begins with TURNED (Book #1)—a FREE download! In CRAVED, 16 year old Scarlet Paine struggles to find out exactly what she's becoming. Her erratic behavior has alienated her new boyfriend, Blake, and she struggles to make amends, and to make him understand. But the problem is, she can barely understand herself what's happening to her. At the same time, the new boy in school, the mysterious Sage, comes into her life. Their paths keep intertwining, and although she tries to avoid it, he directly pursues her, despite the objections of her best friend, Maria, who has her own eyes set on Sage. Scarlet finds herself swept away by Sage, who takes her into his world, past the gates of his family's historic river mansion. As their relationship deepens, she begins to learn more about his mysterious past, his family, and the secrets he must hold. They spend the most romantic time she can imagine, on a secluded island in the Hudson, and she is convinced she has found the true love of her life. But then she is devastated to learn Sage's biggest secret of all: he is not human, either, and he has only a few weeks left to live. Tragically, just at the moment when destiny has brought her greatest love, it also seems fated to tear them apart. As Scarlet returns to the high school parties leading up to the big dance, she ends up in a huge falling-out with her friends, who excommunicate her from their group. At the same time, Vivian rounds up the popular girls to make her life hell, leading to an unavoidable confrontation. Scarlet's forced to sneak out, making matters worse with her parents, and soon finds pressure building from all sides. The only light in her life is Sage. But he is still holding back some of his secrets, and Blake resurfaces, determined to pursue her. Caitlin, meanwhile, is determined to find a way to reverse Scarlet's vampirism. What she finds leads her on a journey to find the antidote, deep into the darkest corners of rare libraries and bookstores—and to an ancient discovery she can hardly imagine. But it may be too late. Scarlet is changing rapidly, barely able to control what she's becoming. She wants to be with Sage—but fate seems set on tearing them apart. As the book culminates in an action-packed and shocking twist, Scarlet will be left with a monumental choice—one that will change the world forever. How much is she willing to risk for love? FATED (Book #11 in THE VAMPIRE JOURNALS) is now also available! Morgan Rice's Bestselling series, THE SURVIVAL TRILOGY, a post apocalyptic thriller, is now also available, as is Morgan Rice's bestselling fantasy series THE SORCERER'S RING, which begins with A QUEST OF HEROES (Book #1)—a free download!